Winning teams don’t just happen—they result from targeted planning, action, and accountability. We work with teams at all organizational levels, from the top floor to the shop floor, providing skills, tools, and techniques for helping work groups become high performance teams. Cheryl Binda has been facilitating team building retreats for over 25 years, working with thousands of team members from a wide variety of organizations. She has worked with intact work teams, project teams, cross-functional teams, leadership teams, and executive teams. All strategies are aimed at improved team performance! 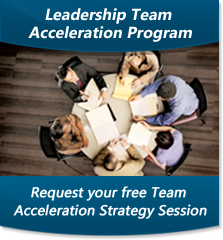 "Cheryl facilitated a very difficult multi-day, off-site meeting for my work group. She helped us prepare for the face-to-face meeting and facilitated our interactions during the four days. She led us through a process that concluded with a strategic plan for our organization. Afterwards, she conducted a series of follow-up meetings. Most importantly, she helped overcome many interpersonal issues amongst co-workers from different cultures and brought us together as a team."